This product requires the base game Assassin's Creed Revelations. Explore the mysterious pasts of Subject 16 and Lucy Stillman in 2 hours of all-new single player content, using the innovative narration style and puzzle-platforming gameplay pioneered in Assassin’s Creed Revelations’ present-day Desmond sequences. 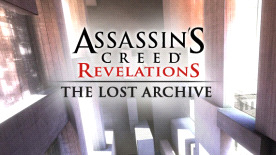 Assassin's Creed Revelations is required to play this DLC.